What is Medicare Advantage insurance and is it right for you? 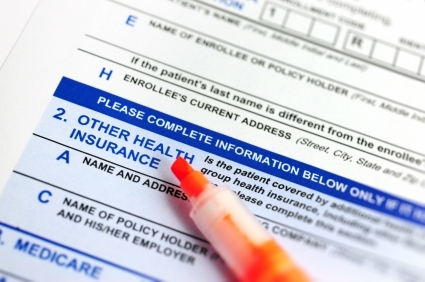 A recent survey found that a significant percentage of people either don’t know what type of plan they are enrolled in or couldn’t identify the differences between Medicare Advantage insurance and Medicare supplemental insurance. This doesn’t bode well for people on Medicare choosing the best type of plan for their needs. In order to make a sound decision you must start with the facts. After reading this article you will be able to define Medicare Advantage, identify some pros and cons and have an idea whether or not it is a good option for you. First let’s clear up the nomenclature. A Medicare Advantage plan, Part C, and MA plans all mean the same thing. It is sometimes referred to as a Medicare replacement plan. It’s also important to know that a Medicare Advantage plan is not a Medicare supplement, aka Medigap insurance policy. These are two different types of plans. An Advantage plan is a Medicare health plan that is available from a private insurance company that has been approved by Medicare to provide your Medicare benefits. An Advantage plan will provide all of your Part A (hospital) and Part B (medical) benefits and always include coverage for emergency and urgent care. The majority of Advantage plans include Part D drug coverage. Medicare Advantage insurance plans often include extra benefits such as dental, vision, hearing, gym memberships and other health and wellness programs. By definition Medicare Advantage provides all of your Part A and Part B coverage. A Medicare supplement on the other hand, fills in the gaps of original Medicare and generally pays the hospital deductible and the 20% of Part B charges that would be your responsibility. First it should be noted that everyone’s needs are different and what may be a major drawback to one person may be a non-issue or minor inconvenience to another. 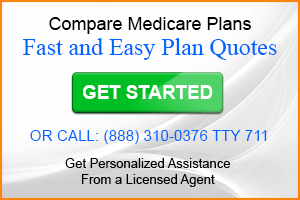 No one plan is considered to be the best Medicare Advantage plan. Pro and con observations have been gleaned from comments and questions posted to articles on this site. Medicare Advantage premiums are often much lower than premiums for a Medicare supplement and sometimes a premium is $0. Cost sharing in the form of co-payments, coinsurance and deductible lends certainty to out-of-pocket costs. 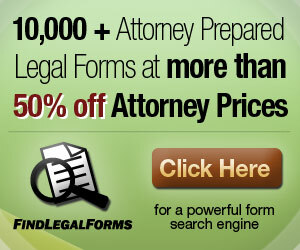 By law plans must include an annual maximum out-of-pocket amount. You often save money because you are not required to purchase a stand-alone Part D plan. The extra benefits that are not included in original Medicare can be quite valuable. Network restrictions can limit your choice of providers especially if you develop a condition that requires specialists. Some out-patient services and out-of-network services (PPO Plans) may require a higher cost sharing than original Medicare. Plans are annual and a plan can change benefits, premiums or not renew for the following year. You must renew, drop or shop for a new plan each year. You have a limited ability to cancel your plan mid-year and cannot switch to another plan. (Some special circumstances apply). Once again, everyone’s needs are unique but there is a general profile of people who often choose the Medicare Advantage insurance option. If you are interested in coverage beyond original Medicare and a Medigap insurance policy is out of reach financially, then an Advantage plan is a good choice. If saving money, having the peace of mind of an annual maximum-out-of-pocket amount and network restrictions are not an issue this type of plan may be a good choice. To some degree whether or not an Advantage plan is a good choice may be limited to what options you have available. You will not find Medicare plans by State because plans are offered County-by-County and in some rural Counties you will have few choices. Annual enrollment begins October 15th and ends December 7th at midnight. Start early and do your homework to determine if this type of Medicare insurance plan is right for you.